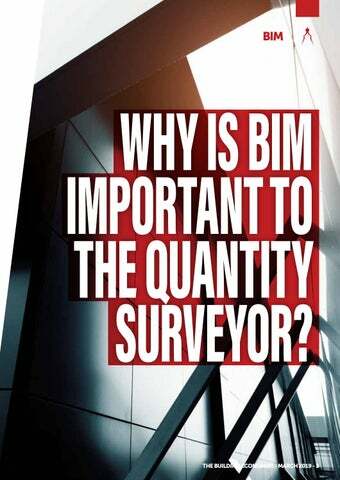 3 WHY IS BIM IMPORTANT TO THE QUANTITY SURVEYOR? 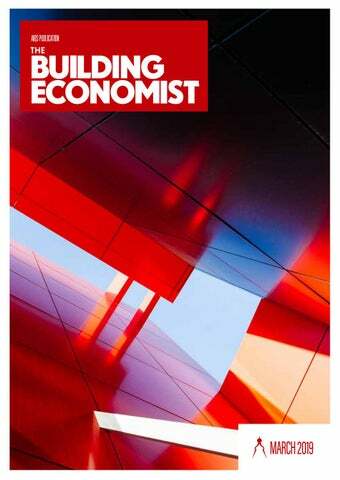 Quantity Surveyors About The Building Economist is the flagship publication of Australian Institute of Quantity Surveyors (AIQS). Produced quarterly, The Building Economist seeks to provide information that is relevant for quantity surveying, cost management and construction professionals. Subscribe Visit www.aiqs.com.au and click on the Shop button. You can purchase a copy of this edition or subscribe for 12 months. Contribute AIQS encourages readers to submit articles relating to quantity surveying, the built environment and associated industries including; construction economics, cost estimating, cost planning, contract administration, project engineering. Contact AIQS. 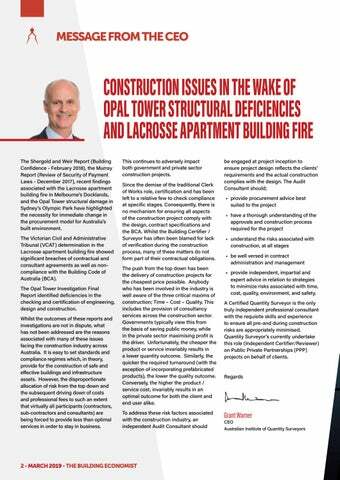 CONSTRUCTION ISSUES IN THE WAKE OF OPAL TOWER STRUCTURAL DEFICIENCIES AND LACROSSE APARTMENT BUILDING FIRE The Shergold and Weir Report (Building Confidence - February 2018), the Murray Report (Review of Security of Payment Laws - December 2017), recent findings associated with the Lacrosse apartment building fire in Melbourne’s Docklands, and the Opal Tower structural damage in Sydney’s Olympic Park have highlighted the necessity for immediate change in the procurement model for Australia’s built environment. The Victorian Civil and Administrative Tribunal (VCAT) determination in the Lacrosse apartment building fire showed significant breaches of contractual and consultant agreements as well as noncompliance with the Building Code of Australia (BCA). The Opal Tower Investigation Final Report identified deficiencies in the checking and certification of engineering, design and construction. Whilst the outcomes of these reports and investigations are not in dispute, what has not been addressed are the reasons associated with many of these issues facing the construction industry across Australia. It is easy to set standards and compliance regimes which, in theory, provide for the construction of safe and effective buildings and infrastructure assets. However, the disproportionate allocation of risk from the top down and the subsequent driving down of costs and professional fees to such an extent that virtually all participants (contractors, sub-contractors and consultants) are being forced to provide less than optimal services in order to stay in business. be engaged at project inception to ensure project design reflects the clients’ requirements and the actual construction complies with the design. The Audit Consultant should; •	provide procurement advice best suited to the project •	have a thorough understanding of the approvals and construction process required for the project •	understand the risks associated with construction, at all stages •	be well versed in contract administration and management •	provide independent, impartial and expert advice in relation to strategies to minimize risks associated with time, cost, quality, environment, and safety. A Certified Quantity Surveyor is the only truly independent professional consultant with the requisite skills and experience to ensure all pre-and during construction risks are appropriately minimised. Quantity Surveyor’s currently undertake this role (Independent Certifier/Reviewer) on Public Private Partnerships (PPP) projects on behalf of clients. information for quantification. To a Quantity Surveyor using BIM, greater emphasis is placed on the verification and validation process. BIM collaboration is a key component in the Quantity Surveyor’s tool bag – one that greatly enhances the value they bring to the client. To a Quantity Surveyor using BIM, greater emphasis is placed on the verification and validation process. 4D The fourth dimension (4D) refers to the linking of the 3D design models with the program schedule. The Quantity Surveyor can play a role as he would in a traditional project, by working with the Planner and providing commercial advice on, for example, labour and plant hire. Together they can develop a lean process that optimises resources. Cost escalation on projects from delay, often occurs through lack of planning of activities – what trades are going to which jobs, in which areas, and at which times to maximise the site’s constraints. 4D allows for these activities to be simulated and tested multiple times virtually, where the cost of getting it wrong during the simulation is a tiny fraction of having an unproductive site. Quantity Surveying. It is in this phase or space that the Quantity Surveyor utilises their skill set and knowledge to perform a professional cost management role on the project. Finland’s COBIM 2012, Series 7, (Page 5) states; “a BIM does not resolve quantity take-off related issues 'exhaustively' and not all quantities needed during a project can be taken off from a BIM. The professional skill of a Quantity Surveyor is still needed for assessing the validity of the source data and source materials, ensuring the coverage of the take-off, proposing alternative solutions and analysing the results.” Leveraging the 3D information model, Quantity Surveyors can achieve the following: •	fast and efficient quantity validation and verification •	rapid processing of design revisions/ updates •	more reliable and responsive cost advice/cost estimation •	quickly cost design options to allow early informed decisions. 2. BIM used outside of any contract deliverable. model is set-up with proper geometry and contains key information for effective cost planning is addressed in the project BEP. This process enables the Quantity Surveyor to manage BIM expectations efficiently. NON-CONTRACTED BIM Projects where BIM is not a contract deliverable are common and the models if shared with the Quantity Surveyor still provide value for cost planning activities. Typically, some models are exchanged during this process organically (e.g. for design coordination, construction planning and programming, and the handover of a structural model for steel shop detailing). Quantity Surveyors will have to request the design team to export models in a format that their software can read. The models may or may not be optimal for cost planning or tendering quantity extraction due to the nonbinding nature of the relationship of the initiation of the project. COLLABORATION As Quantity Surveyors, communication is needed with the design team, so they know what information is required, (including unit of measurement etc.) from the digital model at each stage of the project to facilitate efficient cost planning. This is typically done via a set of standard protocols and templates, included in documents such as the BEP, which are developed at the outset of the project. to articulate their requirements to the design team, ensure this is recorded within the BEP and work with the designers to ensure they understand what information is used and how it will be relied upon by the Quantity Surveyor. This also enables the design team to communicate what information is not going to be modelled, ensuring clarity of approach by all parties. Historically, construction contracts in canvassing the various issues associated with contract risk relied heavily on clauses allowing considerable supervision through onsite quality control processes. With the emergence and adoption of offsite construction however, we now see a requirement for the offsite construction contract to evolve to protect the interests of all interested parties given a vitally different risk profile. provided to the client, contracts should include clauses covering title, intellectual property, fitness for purpose warranties, damages, insurance and dispute resolution at a minimum. PROCUREMENT The supply chain logistics usually associated with construction contracts allow for extended schedules, predicting delayed stakeholder engagement, approval processes and flexibility regarding variations and EOT claims (notably for variations, latent conditions, industrial action and inclement weather). Offsite construction goes a fair way in relieving the pressure of potential delays by locating production in an enclosed location, usually a factory, thus less prone to the whims of nature and uncertainty. But there is a price for this efficiency: precision and time. In the early stages of planning, firm decisions are required to proceed with the offsite build and there is limited scope for a protracted approvals process. Thus, it is imperative that engineers, designers and builders work together from the outset towards the same outcome to ensure everyone is on the same page – and constructing the same project. design – changes could be carried out onsite ad hoc – modular design requires exceptional project and stakeholder management in order to manage expectations and deliver quality to a tight cost and time schedule. production and delivery, the contract should provide adequate protection to protect the client’s interests in the components particularly when payments have been made. OWNERSHIP An important question for buyers of offsite construction is when do they own the offsite manufactured product? Is it when they accept/approve/provide designs to the manufacturer, secure raw material, once the product is made or when it is delivered? This issue overlaps with insurance which we will discuss further below, but with regards to title drafters must ensure that the contract captures the appropriate contingences in order that their client is protected. Typically, ownership vests with passing of possession unless a contrary intention is expressly noted in the contract. It is considered best practice however to ensure ownership is clearly specified to pass much earlier. The contract with the 1920 bricklayer would be easily resolved in the Local Magistrates Court, but offsite production is often overseas and the only effective resolution scheme requires an international arbitration clause. If well considered, the arbitration process leads to effective enforcement in a foreign country as well as expedited procedures and reduced costs. CONCLUSION Where project critical components are sourced offsite, care must be taken to protect the project stakeholders from unexpected losses which arise from not providing for the increased risk profile. Critically if the product is a standard item produced by the manufacturer with a long lead time then redirection to another customer of the manufacturer is a matter of concern. DIGITAL PUBLICATIONS Rawlinsons strive to continually develop and improve our digital subscriptions. Based on valuable end user feedback, 2019 editions now offer greater ease of navigation with improved search functionality along with the introduction of Index hyperlinks and page reference hyperlinks throughout. Interactive bookmarks will also be included for fast and simple browsing of the publications. AUSTRALIAâ&#x20AC;&#x2122;S LARGEST LIBRARY OF CONSTRUCTION COST INFORMATION . . AT YOUR FINGER TIPS Commencing practice in 1953, Rawlinsons (W.A.) is a notable and highly reputable Quantity Surveying firm. As well as being a recognised industry name, Rawlinsons (W.A.) are the proud creators and editors of the extensively circulated Rawlinsons Australian Construction Handbook and Rawlinsons Construction Cost Guide, the most comprehensive and current library of construction pricing information and data sources in Australia. digital version, predominantly due to the ease of navigation and search capabilities, which makes finding the information in quite a large technical document quick and efficient. Additionally, the benefits in the digital version are the ease of access whilst on site or in a project meeting. In saying all of the above, I do have an attachment to the hardcopy publication which sits on my desk at all times. Many of our customers like to have both a soft and hard copy of our publications, but at the end of the day, it comes down to individual preference.” It can be said with confidence, after 37 years in publication, that the 1983 Rawlinsons Directors leap of faith was a success. Not only satisfying the industry’s need for a comprehensive building cost reference guide, but steadfastly contributing to the economy, providing Australians with a completely Australian product. A new ‘world class’ CBD vertical secondary school with an educational focus on health and STEM (Sciences, Technology, Engineering and Mathematics) and interdisciplinary subjects. The school is designed to accommodate 1250 students offering contemporary interdisciplinary teaching and learning. construction and operation. Learning from the built form will deliver intuitive, investigative, environmentally aware students who will shape our future communities. This state-of-the-art designed school will promote individualised learning, creating settings for innovative teaching, incorporating new technology, environmental sustainability, collaboration and exploration of the surrounding environment. Rider Levett Bucknall (RLB) was engaged by the Department of Planning, Transport and Infrastructure to provide full cost management services. RLB began working closely with the Department for Education and the Department of Planning, Transport and Infrastructure in early 2015 preparing early cost models for building options based on space planning schemes. With the Adelaide Botanic High School being the first true vertical school in South Australia, RLB was able to benchmark similar projects from our Global Cost Database enabling our Cost Planners to provide relevant cost data from precedent projects. As the Department for Education determined projected student needs, RLB was requested to prepare cost options for 1000, 1250, 1500 and 2000 student capacities to determine the relative cost benefit and value proposition to increase capacity. RLB was also involved in developing cost-efficient high-performance design elements such as: energy efficient wall façade systems, modular atrium glazing systems, efficient structural solutions (in particular the sports gym which supports an outdoor learning terrace), and external ‘pop-out’ learning pods etc. All internal design elements were designed with flexibility and robustness to minimise ongoing maintenance and achieve outcome alignment with the fully integrated team. ‘The project success could not have been achieved without a high performance, collaborative project team across all disciplines.’ said Managing Director, Andrew Suttie. money, and whilst considering the longevity of building materials and engineering solutions â&#x20AC;˘	Detailed tender assessments to ensure appropriate conversion into a Total Fixed Price (TFP) Design and Construct (D&C) Contract and successful novation of the design team â&#x20AC;˘	Undertaking cost analysis studies with varying construction methodologies to safely construct a new development adjacent an existing occupied University Building (including an operating animal house at basement level). This involved analysing several construction staging methods, external acoustic treatment options, flexible structural building connections etc. staffed with Engineers and specialist Civil Estimators who complement our Quantity Surveying personnel. RLB was able to utilise its expertise for the infrastructure component. RLB also drew from the expertise of our in-house Engineering Services Cost Managers to provide an independent assessment and benchmark the engineering services estimates. RLB provided a full review of the site infrastructure costs, including stormwater, gas, sewer, electrical, etc. Several façade scope verification and value management sessions were undertaken with proactive industry feedback to ensure budget compliance, whilst maintaining the architectural vision for the school. RLB was a key team member in assisting the Department for Education in realising the construction of two additional levels to accommodate the increased anticipated student population of 1250.
hazardous material removal, challenging structural building link connections etc. Applying the appropriate contingency levels was a key challenge to ensure the building fabric and functionality was ultimately not compromised. RLB facilitated multiple value management sessions, including with the ECI partners to ensure best value was achieved for the Department of Planning, Transport and Infrastructure and the Department for Education. For an ECI/TFP Procurement Model the dynamics are different and reporting protocols need to be understood and observed by the Cost Planning Team. In a pure Managing Contractor Model the cost plan or model would be shared with the entire project team including the Contractor as a procurement tool for budgeting the trade scope. In effect the Managing Contractor is an integral member of the consultant team and major cost risks remain with the client. However, under an ECI/TFP Procurement Model, the Contractor will assume the major cost risks, and care needs to be given in relation to the extent of the cost planning and cost modelling information shared. Otherwise there remains the risk that the TFP commercial negotiations process could be potentially compromised. available. RLB monitored the developing design documents to ensure that the aligned value management initiatives were implemented. We believe the process worked particularly well and set the Adelaide Botanic High School project up for successful commercial negotiation and commercial close. LESSONS LEARNED The Adelaide Botanic High School was delivered by Early Contractor Involvement (ECI), then converted to a Total Fixed Price Contract (TFP), which does heavily rely on: a comprehensive Principalâ&#x20AC;&#x2122;s Project Requirements (PPR), precise client vision, robust cost planning, proactive value management and budget forecasting. The project was delivered on time and within budget and is regarded as a benchmark contemporary secondary education facility. COST ENGINEERS AND QUANTITY SURVEYORS The Quantity Surveyor and Cost Engineer professions have the opportunity to embrace a broader vision for the future and redefine traditional roles. As new technology sweeps rapidly across the construction industry, existing professionals and new graduates must evolve to meet the changing demands of global clients. There is a saying that “what got us here will not get us there”. For professionals working in the rapidly evolving built environment sector, this is increasingly true. Cost Engineers (CEs) and Quantity Surveyors (QSs), in particular, are facing a critical moment in their professional lives as the traditional infrastructure project delivery practices are being disrupted by new, digitally enabled and data driven processes. Like every other profession in the built environment, CEs and QSs face a major challenge to redefine their role and stay relevant in this new world; a world in which clients are more demanding, more informed, and expect greater value from every professional service that they buy. However, they also have a major opportunity to strike out and reposition themselves in this new and evolving world; driving new levels of efficiency, creating competitive advantages and providing the value-added services demanded by modern clients. To achieve this goal, CEs and QSs will have to change their professional approach and the services they provide. While some of these changes might be considered evolutionary, others will require more fundamental rethinking. drawings but using their experiences, data sheets and rules of thumbs. Given this blurring of responsibility, a merger of the two professions as CEQS is an obvious win. This new group of professionals would provide a range of services covering cost advice, procurement management and strategic advice, design reviews, facilitation based on risk and value, and perform value engineering exercises. The role would be transformed from passive individual to become an effective, central contributor to the client’s entire project team. With an inherent knowledge of design efficiency, combined with a deep understanding of cost drivers and structure, the CEQS will be in a unique position to provide clients with holistic advice on project cost, time and quality. THE NEED FOR A KNOWLEDGE UPGRADE AND NETWORKING Of course, this transformation would require the CEQS to substantially increase their understanding of construction technology and basic engineering principles. In addition, they would require good knowledge of contract law to help the CEQS offer procurement advice to promote the modern partnering arrangements sought by clients as they seek to boost productivity. And clearly enhancing skills across the professions will require an environment that actively supports learning. As such, a professional knowledge network would be critical to support and drive the development of required skills across businesses and ensure that the learning and efficiencies gained are shared across the emerging profession. Similarly, a program of mentoring throughout the new CEQS profession would be vital to ensure that younger professionals can learn quickly from the experience and knowledge of colleagues around them. FACILITATION AND THE ART OF COLLABORATION More often than not, the CEs and QSs find themselves at the heart of the design discussion, using and demanding information from all design disciplines and ensuring that information is correct and verified. They play a critical role in bringing parties together – facilitating communication and promoting collaboration – a role that is increasingly in demand by modern clients and that should be embraced by the CEQS profession. The roles and responsibilities of a facilitator are wide and may include conducting cross-disciplinary workshops, to help understand the emerging issues, and to find collaborative solutions. Again, as with other new skills required by CEQSs, special training program for such facilitation would be required. challenges, not least from the need for the new profession to accelerate its own understanding of the emerging discipline. Some form of computational BIM will have to be taught to CEQS professionals so as to expose them to the outer limits of the use of BIM. That will mean understanding how to interrogate models, how find optimum solutions for value engineering purposes or how to identify cost drivers. cost management and cost engineering will always remain embedded in the QS and CE professions, there is a need to broaden the vision of existing professionals and new graduates to align with the new world of intense competition, client-centricity and technology advancements. It will be a big challenge as the speed of technological advancement is so rapid. What once took design team months to do, can now be carried out in minutes. The CEQS profession must evolve to keep up. OPERATING IN THE GLOBAL ENVIRONMENT; OPERATING IN THE VIRTUAL ENVIRONMENT Meanwhile, the world is getting smaller as actual and virtual borders are being torn down. Firms are increasingly moving the main bulk of their measurement activities to more cost-effective parts of the world, leaving traditional graduate roles “outsourced”. However, this challenge opens up great opportunities for the young CEQS who will now be tasked with acquiring the new skills required to manage these outsourced processes. They will, in effect, move further up the project value chain, adding greater client value and commanding greater reward. INTRODUCTION Whether it is called project management, project controls, cost engineering, or quantity surveying, managing cost during the lifecycle of a project is accomplished through the application of certain principles, accepted as “best practices”. Initially, these principles were adopted by project controls from other professions, ultimately leading to a push-pull relationship between various disciplines. Certain relationships can be inferred between the history of project controls, the creation and of management science, and the evolution of production engineering, resulting in a strengthening of controls and analytical techniques in financial and project management. These trends are also reflected in the history of contracts and procurement. The history of project controls, when considered in the context of management theory and industrial engineering, offers clues to the future of the profession. scenario planning (Jayeoba & Ajibade, 2016). At this point, there began a certain amount of fluidity of concepts between industrial engineering, project controls, and management science. Management science in the 1980â&#x20AC;&#x2122;s focused on measuring value, understanding stakeholders, reducing uncertainty, lifecycle costing, change management (Stretton, 2007), technology strategy (Shane & Ulrich, 2004), and software development (Matthews, 2006). engineering are almost entirely focused on computer applications, including cognitive computing, robotics, wearables, and 3-D printing. continuous and timely analysis, and early reporting of issues. Leaving computers to do the number crunching leaves cost engineers free to provide even greater value, as analysts and interpreters of the data, in a trusted advisor capacity. The world of projects cannot yet be entirely reduced to simple repeatable rules and structures, nor is it necessarily a good investment to codify every possible project action and reaction. Computers cannot yet fully understand or solve project problems without human judgement (Robinson, 2014). Existing areas of specialty that rely on critical questioning, complex perception, and situational understanding (such as claims analysis, risk modeling, and dispute resolution) are already and will continue to be a stronghold for cost engineers. Necessary insights are distinctly human; such characteristics as collaboration, interpretation of nuance, understanding of context, emotional intelligence, and creativity. The same is true in management science, and all engineering professions. Further, humans will always be needed for oversight, leadership, and QA/QC of computerised systems, and training (AICPA ASEC Emerging Assurance Technologies Task Force, 2012). technology, commanding a fee and salary premium by adding value for clients and projects. In doing so, the prestige of the profession will be increased. As common repetitive tasks are automated, the future of the profession also lies in sensemaking, using and applying qualities that are uniquely human. Independent thinking, questioning the status quo, soft skills, and cognitive flexibility are the keys to adding value. ยน Timeline data compiled en masse from (Boudreau, 2004), (Shane & Ulrich, 2004), (Greiner, Bhambri, & Cummings, 2003), (Kwak, 2003), (Greenwood, 1974), (Shenhar & Dov, 2004), (Stretton, 2007), (Pinney, 2002), (Jayeoba & Ajibade, 2016), and other sources as listed in References References AICPA ASEC Emerging Assurance Technologies Task Force. (2012). Evolution of Auditing : From the Traditional Approach to the Future Audit. New York, NY: AICPA. Boudreau, J. W. (2004, November). Organizational Behavior, Strategy, Performance, and Design in "Management Science". Management Science, 50(11), 1463-1476. Greenwood, W. T. (1974). Future Management Theory : A "Comparative" Evolution to a General Theory. The Academy of Management Journal, 17(3), 503-513. Greiner, L. E., Bhambri, A., & Cummings, T. G. (2003, December). Searching for a Strategy to Teach Strategy. Academy of Management Learning & Education, 2(4), 402-420. Jayeoba, O., & Ajibade, A. (2016, April). Evolution and Development of Auditing. Unique Journal of Business Management Research, 3(1), 32-40. Johnson, S. B. (1997, October). Three Approaches to Big Technology : Operations Research, Systems Engineering, and Project Management. Technology and Culture, 38(4), 891-919. Kwak, Y. H. (2003). Brief History of Project Management. In Carayannis, Kwak, & Anbari, The Story of Managing Projects (p. Chapter 2). Quorum Books. Matthews, D. (2006, December). From Ticking to Clicking : Changes in Auditing Techniques from the 19th Century to the Present. The Accounting Historians Journal, 33(2), 63-102. Nalewaik, A. (2010). Systemic Audit and Substantive Evaluation in the Built Environment. 7th International Cost Engineering Council World Congress. Singapore: ICEC. Nalewaik, A. (2018). Industrial Engineering, Management Science, and the Future of Cost Engineering. AACE International Conference & Expo. San Diego, CA: AACE International. Nalewaik, A., & Bennett, N. (2012). Intersection and Divergence in CE, QS, and PM: Competencies, Qualifications, and Professional Recognition . 8th International Cost Engineering Council World Congress. Durban: ICEC. Nalewaik, A., & Mills, A. (2014). Times of Change: The Future of Professional Institutions in the Built Environment. 9th International Cost Engineering Council World Congress. Milan: ICEC. Pinney, B. W. (2002, December). Projects, Management, and Protean Times : Engineering Enterprise in the United States, 1870-1960. Enterprise & Society, 3(4), 620-626. Robinson, R. (2014, September 7). 11 Reasons Computers Can't Understand or Solve Our Problems Without Human Judgement. Retrieved February 19, 2018, from The Urban Technologist: https://theurbantechnologist.com/2014/09/07/11-reasons-computers-cant-understand-or-solve-our-problems-withouthuman-judgement/ Shane, S. A., & Ulrich, K. T. (2004, February). Technological Innovation, Product Development, and Entrepreneurship in Management Science. Management Science, 50(2), 133-144. Shenhar, A., & Dov, D. (2004). Project Management Evolution - Past History and Future Research Directions. PMI Research Conference. 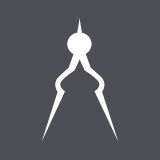 London: Project Management Institute. Stretton, A. (2007, October). A Short History of Modern Project Management. PM World Today, 9(10). INTRODUCTION To survive and thrive today, many organisations are undertaking the fundamental shift from a traditional organisational model designed for the industrial economy to an agile model designed for today’s digital economy. This paradigm shift heralds a new form of organisation that enables innovation, collaboration, and value creation at unprecedented speed, scale, and impact. Agile organisations can develop products five times faster, make decisions three times faster, and reallocate resources adroitly and quickly. Making this shift can be exhilarating. As one senior leader of a global healthcare company told us, “I’ve been in business for 25 years, and this is like nothing I’ve ever done. We’re needing to develop a whole new way of seeing the world, our business, and even ourselves. I’ve never been more excited about what we’ll be able to create—and terrified about my ability to do this.” To form and lead an agile transformation successfully, leaders need a new approach. The mind-sets and skills they have carefully honed over years of experience are necessary but not sufficient to lead 21st-century organisations. By evolving their ability to lead, executives can transform their organisations into agile enterprises engineered for the digital economy. While this paper is written for senior leaders (typically defined as the top three to four levels of leaders), much of it applies to leaders at every level across your organisation. It has the following five parts, each of which concludes with a box of summary takeaways: 1. Part 1 summarises the emergence of agile organisations (for readers unfamiliar with this field) and links to our sister papers for more detail. 2. Part 2 presents our latest thinking on the mind-sets and practices you need to lead an agile transformation successfully. 3. Part 3 focuses on how you can bring a distinctively agile approach to the team, the core unit of agile organisations. 4. Part 4 sets out the capabilities you need to enable agility throughout the organisation. 5. Part 5 discusses how your organisation can build and embed these capabilities among leaders at every level, starting with senior leaders. PART 1: ON THE AGILE STORY Why agile organisations? Why has this become such an important topic for senior leaders? It’s a direct result of the era in which we are living. In this age of our fourth industrial revolution, rapid technological and social change mean an increasing number of sectors are approaching a tipping point at which companies must become agile to compete and survive. Information-rich industries, like technology, publishing, and media, have long operated in this new world; others, like retail and banking, reached this tipping point in the recent past; and some, like pharmaceuticals and energy, are getting there quickly.¹ The pace of these changes is outstripping the ability of our existing private, public, and social institutions to keep up. In our recent research across a range of industries, including technology, only 4 percent of some 2,500 companies surveyed had reached enterprise agility. More and more companies are becoming overwhelmed with the increasing need to enhance customer-centricity, speed, growth, efficiency, and employee engagement—all in parallel. greater confidence. Such organisations, we believe, are far better equipped for the future. While there are many different forms of enterprise agility, they share some common trademarks. We have identified and enumerated these in the report ‘The five trademarks of agile organisations’.³ In summary, agile organisations embody the following novel and highly disciplined set of practices: •	Agile organisations have a “north star” embodied across the organisation. Guided by this north star, they reimagine both who they create value for and how. They are obsessively customer focused, and they are committed to creating value with and for a wide range of other stakeholders, including employees, investors, partners, and communities. •	Agile organisations work through a network of small, empowered teams. They maintain a stable backbone structure but replace much of the remaining traditional hierarchy with a flexible, scalable network of teams. •	Agile organisations use rapid decision and learning cycles. They work in rapid cycles of thinking and doing, breaking work down into small packages; executing in short, focused bursts; and frequently recalibrating based on carefully tracked goals and metrics. •	Agile organisations have a dynamic people model that ignites passion. They put people at the heart of culture and leadership, engaging and empowering everyone in the organisation to create value quickly, collaboratively, and effectively. •	Agile organisations use next-generationenabling technology. They radically rethink their underlying technologies to support quick iterations, higher deployment velocity, and flexibility through new practices and tools. Many organisations today are somewhere in the middle of traditional and agile approaches, applying some elements of some of these trademarks. As a result, they no longer look like archetypal command hierarchies, but they are not yet agile. To reach and go beyond the tipping point, organisations must apply all five trademarks. LEADERSHIP IN AGILE ORGANISATIONS This new kind of agile organisation requires a new and fundamentally different kind of leadership. Research has long demonstrated the profound impact of leadership effectiveness on organisational performance and health.⁴ Recent research confirms that leadership is arguably even more important in agile organisations. Leadership and how leadership shapes culture are the biggest barriers to—and the biggest enablers of— successful agile transformations (Exhibit 1). If you are planning to lead an agile transformation, you must therefore begin by both extending and transcending the competencies that made you successful in the past.⁵ For many years, we have seen leaders as planners, directors, and controllers. In organisations seen as machines, leaders brought certainty, control, and authority based on rank. Now, it might be appropriate to explore a new language of leadership: the leader as visionary, architect, coach, and catalyst. For organisations seen as living organisms, the appropriate metaphor might be for the leader to be a gardener— a creative guide and steward who has a nurturing role and a variety of relations with different parts of a garden.⁶ For instance, as a gardener, the agile leader might pay attention to creating the fertile soil and environment that will enable growth and creativity to flourish. To build and lead agile organisations, leaders must develop three major new sets of capabilities. First, they should adopt new personal mind-sets and behaviors. Second, they should learn to help teams work in new ways. Third, they should learn how to build enterprise agility into the design and culture of the whole organisation. In the next three parts of this article, we will look in detail at these three sets of capabilities. the process of becoming an integrated human being.”⁷ Leaders wishing to transform their organisations must begin by transforming themselves, starting with their mind-sets. Our research on organisational health shows that making the leader’s mind-set the subject of conscious scrutiny is indispensable to all leadership effectiveness.⁸ Or, more poetically (and with apologies to José Ortega y Gasset): tell me what you pay attention to, and I will tell you who you are as a leader. all or parts of your organisation? •	How ready are your leaders to lead an agile transformation? Is leadership in your organisation about planning, directing, and controlling? Or is it about gardening, with the leader as a visionary, architect, coach, and catalyst? •	Which of the three new sets of capabilities are most important for you to learn: agile mind-sets and behaviors, agile ways of working, or agile organisation design and culture? Changing our mind-set—or adjusting it to the new context—is no easy task, but developing this “inner agility”⁹ is essential in releasing our potential to lead an agile transformation. It is clear from the work of Robert Kegan and many others that leaders of agile organisations must, above all, make a profound personal shift in their mind-sets from reactive to creative.¹⁰ Reactive, or socialized, mind-sets are an outside-in way of experiencing the world based on reacting to our circumstances and other people’s expectations of us. We typically default to this mode when challenged—in other words, very frequently during a typical business day — which limits our perspective, focuses us on what can go awry, and causes feelings of fear, anxiety, frustration, and stress. Creative, or self-authoring, mind-sets are an inside-out way of experiencing the world based on creating our reality and way forward through tapping into and expressing our authentic selves, our core passion and purpose. Being “in the creative” expands our perspective and focuses us on the positive, and we experience joy, fun, love, and flow. Research shows that most adults spend the large majority of their days “in the reactive,” and as a result, traditional organisations are designed to run on the reactive.¹¹ To build and lead agile organisations, leaders must make a personal shift to run primarily in the creative. Think about your typical day. Do you (and your team) spend most of your time reacting to problems and your boss’ requests, seeking to control others, and working to deliver perfect outcomes? Or do you spend most of your time pursuing your purpose and passion, trusting and empowering others, and exploring new, and sometimes messy, possibilities? There are three fundamental reactive-tocreative mind-set shifts we have found critical to foster the culture of innovation, collaboration, and value creation at the heart of agile organisations: from certainty to discovery, from authority to partnership, and from scarcity to abundance. avert major, costly disasters for your business and for you. Thinking of yourself as a living laboratory constantly testing innovative ways of leading makes it exciting, not terrifying. A mind-set of discovery is found among leaders at Hilcorp Energy, an oil company¹⁴ operating with many agile practices. Hilcorp Energy formulates strategies and plans with an expectation that their plans will form a distribution around what typically happens. The more unpredictable and fast paced the environment, the wider the distribution, with some spectacular misses that fall short of target and some spectacular wins that seize unexpected opportunities through innovative approaches. This mind-set is also to be found among leaders at Illinois Tool Works, a leading, diversified maker of specialized industrial equipment. For ITW, a mindset of discovery has been central to its sustained success over decades. A prolific innovator with over 17,000 granted and pending patents, many of ITW’s product innovations emerge from discussions with customers, each focused on developing an ingenious solution to a specific customer problem. central to the success of Morning Star, the world’s largest tomato processor. The company empowers autonomous teams to operate without formal leaders, reflecting its deep commitment to freedom and collaboration within and across teams. Every year, colleagues negotiate with their stakeholders a “colleague letter of understanding” that formally commits to partnership, accountability, and reciprocity. in this way, Apple unlocked enormous demand and value potential, enabling it to become one of the most valuable companies in the world. The reactive mind-sets of scarcity, authority, and certainty no longer fit the ever-changing world. They cause us to focus inward and backward, and they lose sight of amazing opportunities. Making the three fundamental shifts to creative mind-sets of abundance, partnership, and discovery lets us look outward and forward, unleashing the full potential of our people and organisations. ON TRANSFORMING YOURSELF: TAKEAWAYS •	Change yourself first, then the organisation. •	When do you show up with a reactive mind-set? When do you show up with a creative mind-set? •	How might you choose mind-sets of discovery, partnership, and abundance more frequently? What would be the impact on you and those around you? •	What disciplined practices might you adopt to be in a creative mind-set? References ¹ “How to create an agile organisation,” October 2017, McKinsey.com. ² The term “agile” as applied to a way of working originated in 2001 with a new approach to software development. As organisations increasingly sought to become more agile in the sense of faster and more flexible, they recognized that principles of agile software development could be applied much more broadly to organisations as a whole. ³ Wouter Aghina, Aaron De Smet, Gerald Lackey, Michael Lurie, and Monica Murarka, “The five trademarks of agile organisations,” January 2018, McKinsey.com. ⁴ It is rare to achieve top-quartile health without top-quartile leadership effectiveness. In fact, organisations with top-quartile leadership effectiveness have, on average, 3.5 times greater the total returns to shareholders over a 3.0-year period than do those with bottom-quartile scores. And organisations that invest in developing leaders during significant transformations are 2.4 time more likely to hit their performance targets. ⁵ Our research has revealed that leaders of all organisations need a core set of baseline behaviors, which are then supplemented by additional situational behaviors to enable the organisation to enhance its performance and health. See Michael Bazigos, Chris Gagnon, and Bill Schaninger, “Leadership in Context”, McKinsey Quarterly, January 2016, McKinsey.com. ⁶ There are many cultures and world literatures that relate to growth and production in this way. Lawns can be cut or left to grow new wild plants; weeds are not always weeds; pests might be useful; equally, vegetables need strict timing and precise care, while trees need benign neglect and occasional pruning; and so on. Such are the many relations—and the languages—that leaders of agile organisations might consider. ⁷ Warren Bennis, On Becoming a Leader, Reading, MA: Addison-Wesley Publishing Company, 1989. ⁸ Organisational Health Index by McKinsey, 2010. ⁹ Sam Bourton, Johanne Lavoie, and Tiffany Vogel, “Leading with inner agility,” McKinsey Quarterly, March 2018, McKinsey.com. ¹⁰ See for example: Robert Kegan and Lisa Laskow Lahey, Immunity to Change, 2009, Harvard Business Review Press; Robert J. Anderson and William A. Adams, Mastering Leadership, 2016, Wiley; and Frederic Laloux, Reinventing Organisations, 2014, Nelson Parker. ¹¹ See Carol S. Dweck, Mindset: The New Psychology of Success, New York, NY: Ballantine Books, 2016. ¹² For brilliant accounts of adaptive, agile warfare in the modern world, see Rupert Smith, The Utility of Force: The Art of War in the Modern World, New York, NY: Vintage Books, 2005; and Stanley McChrystal et al, Team of Teams: New Rules of Engagement for a Modern World, New York, NY: Portfolio, 2015. ¹³ Sam Bourton, Johanne Lavoie, and Tiffany Vogel, “Leading with inner agility,” McKinsey Quarterly, March 2018, McKinsey.com. ¹⁴ “Digging deep for organisational innovation,” McKinsey Quarterly, April 2018, McKinsey.com. This article was originally published by McKinsey & Company, www.mckinsey. com. Copyright (c) 2018 All rights reserved. Reprinted by permission. ¹⁵ Laura Delizonna, “High-Performing Teams Need Psychological Safety. Here’s How to Create It,” August 2017, HBR.org. ¹⁶ The attractiveness of win-win is supported by research on open and closed mind-sets (Carol Dweck or Seth Godin) and successful negotiation (Roger Fry, William Ury, and Howard Raiffa). Content for this advertorial has been supplied by NATSPEC, a national not-for-profit organisation that is owned by the design, build, construct and property industry through professional associations and government property groups. IP30: Infrastructure Productivity project to increase the value of infrastructure delivery in Australia by reducing waste. This research indicated that eliminating inefficiencies in the construction sector could save 25 per cent in costs totaling $30 billion. Among the efficiencies identified were unnecessary complexity resulting in time and cost delays, poor designs hampering construction, confusing standards and specifications, multiple reworking, non-conformance, delays, poor quality materials, defects and performance failures. then Roads and Traffic Authority decided that, given the length of the procurement process, it was prudent to move utility assets prior to the main tunneling works commencing. The relocations were done under budget and delivered on time in a relationship of collaboration. different contracts available is enormous, but they are rarely left unamended, even if they are currently compliant. Each project team may want to create their own special contract, but few projects are unique. By using a single suite of contracts through the country, we would realise significant efficiencies, which would, in turn, lead to lower tender prices and shorter procurement periods. SUITABLE SKILLS TO DELIVER A final risk to infrastructure projects is ensuring the industry has the skills to deliver. In some cases, this is not a concern. For example, Australia has sufficiently-skilled tunnellers from the mining boom who can meet the staged release of tunnel projects. The challenge arises in finding suitable skilled and qualified consultants to manage, design, cost and control these projects. The NSW Department of Education and Training’s summary of 2016 student figures has found that only 2.3 per cent of students are studying architecture and building. A further 7.9 per cent of students are studying engineering and related technologies. We must encourage more people to choose well-paid, interesting and fulfilling careers in the construction industry, otherwise there will be nowhere for our new residents to live, work and play. Cleveland Street. This area is dead space in the centre of the city and its potential use could add significant commercial and residential opportunities while maintaining the full functionality of the station. There have been missed opportunities in the past, such as the Epping to Chatswood Rail Line, at which options were considered for a large residential and commercial tower above the station. We can’t miss these opportunities again. Despite their unpopularity with the public, user pays models should also be on the table. While media articles continue to sensationalise the impact of current and proposed toll roads in Sydney, these have been demonized over need, impacts, cost and tolls. A special investigation by the Daily Telegraph in June 2017 found that Sydney will have more road tolls than any city in the world by 2023. This begs the question: how else should infrastructure be funded? Despite the challenges, we are poised at the cusp of a very exciting time in Australia – one which will lay the foundation for our nation’s ongoing prosperity. Our risk is that we fail to deliver the infrastructure we need for growth. While there are inherent risks in any project, the benefits to the nation – enhanced productivity, liveability and prosperity – are too big to ignore. delivery but relationships between the project team as a result of claims and disputes. As a consequence, a significant effort is often expended on detailed documentation to protect against a potential later dispute, even where parties are on relatively good terms. Relationship based contracting approaches, such as alliancing and partnering, seek to address this by building better functional relationships and cooperation. However, these approaches are only appropriate, for high-risk, high-value projects and clients with regular high-volume project work to incentivise contractors to make relationship adjustments. The most common form of contractual relationship in the construction industry thus remains the traditional fixed price design-bid-build, which typically does not incorporate relationship building strategies for developing effective teamwork. Incorporating relationship principles into traditional fixed price design-bid-build projects through team coaching and facilitation may hold untapped potential to support high performance in construction delivery. "Fixed-priced contracts based on traditional design-bidbuild delivery can foster an adversarial mentality that set the commercial drivers of the clients and contractors on a collision course." and try a new approach. To mitigate risk of adversarial relationships and barriers to collaboration, Barwon Water sought the expertise of John Morrison from Frontline Coach Ltd and Deakin University researchers, Dr. Dominic Ahiaga-Dagbui and Dr Olubukola Tokede, to develop and test the effectiveness of a pilot concept called Project Leadership Program (PLP). coach needs to be flexible and be able to respond to the different dynamics of the team and the project - there is no one size fits all solution. The facilitation process begins with the establishment of project team ground rules well in advance of any works on site taking place. These ground rules are shared guidelines that define baseline acceptable behavioural models for project team members in relation to communication, cooperation and problem solving. Setting ground rules is a recognition that successful project delivery depends on managing both the technical aspects of the project as well as the often complex people and organisation dynamics. these team “health checks” involved team members rating their own and each other’s performance against the set ground rules and providing honest feedback on performance and expectation. This process can sometimes be confronting and the role of the Coach is crucial at this stage to facilitate conversations towards a focus on collaborative outcomes. Effective facilitation requires full commitment to the process by the entire project team. A key client requirement at tendering stage was that successful bidders had to commit fully to the facilitation program throughout project delivery. To demonstrate their own commitment, the client agreed to cover the contractor’s costs and time allocated to the program. In addition to the formal fixed price contract implemented on each works package, the facilitation process results in the formation of a second social “contract” between the client and contractor: this relational contract between the project parties engenders team members with tools and options not available under the formal contract to address critical behavioural issues that can halt, threaten or derail the successful delivery of the project. A Best for project (BfP) approach is one where parties commit to behaviours and decision making that consistently prioritises the objectives and outcomes of the project, the main values of which consist: •	‘we win together’ or ‘we lose together’; •	‘we work through problems not by apportioning blame but by looking for solutions together’; and •	‘your problem is my problem’. BfP principals are uncommon, if not completely absent, from traditional delivery contracts. They enable project teams to remain creative and constructively engaged as opposed to acting from a self-preservative or defensive position which inhibits innovation and value adding. the client, or their consultants, are aggressive or belligerent, they would usually revert to traditional adversarial behaviours as well. This is perhaps even more important when things go wrong. Blame and criticism almost inevitably escalate conflict and disagreement with defensive positions becoming even more entrenched. The role of the coach is important in helping the team navigate these tensions, using requisite imagination to anticipate and proactively attenuate possible reversionary tendencies as they arise. to ensure project delivery partners are moved towards increased collaboration and best-for-project ideals where overall benefits outweigh the challenges inherent in such an approach. In some regards, facilitation may best be viewed by clients as a potential soft insurance policy on key projects where the relationship between project team members presents a potential risk to the successful delivery of the project and realisation of the project benefits. That said, it is also necessary to realise that there will always exist cases where teams or companies just do not work well together and no amount of ‘team building’ or ‘culture creation’ would be useful – in these cases, the team may be better served by the coach focusing their energies on helping members simply deliver their contractual obligations in the contract. WHAT NEXT? Following a successful initial trial and favourable project outcomes, Barwon Water has moved to implement the PLP Facilitation program on three other critical major projects. Two of these projects are currently under construction, whilst the third was completed in late 2018 with similar successful outcomes as observed on the case reported in this article. In addition to the targeted implementation of facilitation, Barwon Water is currently piloting a small project facilitation process across two asset renewal programs as well as integrating aspects of the PLP facilitation model concept into their project delivery framework for delivery of internal cross functional business projects. BIM is an effective digital tool for the Quantity Surveyor to assess and affect the design and delivery process for better commercial outcomes. For the Quantity Surveyor, it is essential to understand the importance of their involvement from the outset of a project, communicating with the design team effectively whilst simultaneously guiding and understanding their approach, in order to interrogate and review a model throughout the project’s lifecycle.